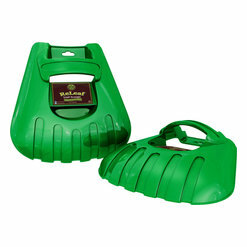 We offer sales of the Releaf Leaf Scoops to Gardeners from all over the USA and Canada. Soon to be the UK and Europe. I recently moved to a new house with a big yard, and decided to get some special tools to help make my work around the yard easier, especially during the fall season. I researched online and found the leaf scoop product being offered by this company. The scoops are essentially large scoop shaped extensions for your hands. The price was reasonable, so I made the buy. The scoops arrived quickly, and exactly as shown, and described in their advertising. That weekend I went to work in the yard, mostly raking and picking up leaves. What used to be the most frustrating part of cleaning leaves of my lawn, has now turned into the least strenuous thanks to these scoops. 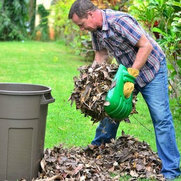 I can pick up a much larger load of leaves, than I normally would with just my hands. Also, because the scoops curve in like a bowl, the leaves don't fall out when you're clasping them with two hands, like they would if you were picking a bunch of leaves up without the scoops. This is a great, simple product, that gives great results. Good buy.